Try ENERCALC SE Cloud now and see for yourself! Welcome to the end of Installations, Activations, Updating, Maintaining Multiple Computers, Shuffling Project files around. Welcome to accessing your ENERCALC Software licenses anywhere - From your Windows PC, From your Mac, From your Tablet, From your iPad, From your friend's Laptop, From your Hotel's Business Center . . . . . . Anywhere. ENERCALC now offers ENERCALC SE. 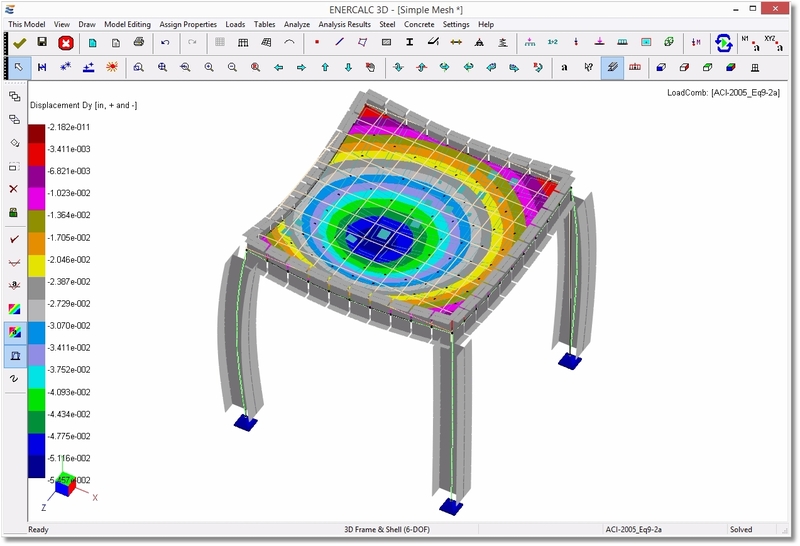 Think of it as Structural Engineering Library and RetainPro in the CLOUD. These online implementations feature familiar graphical user interfaces and nearly the same capabilities as the installed software. Powerful . . . . Simple . . . . Fast . . . . and available NOW! 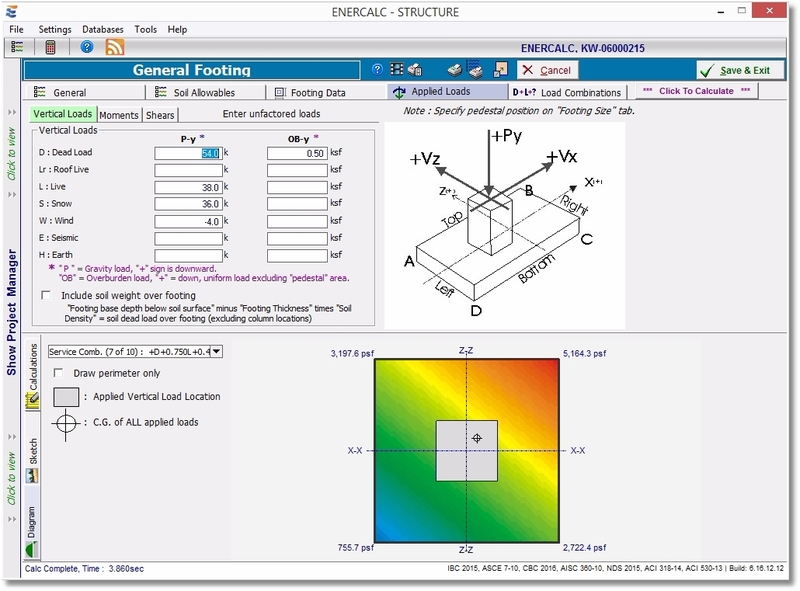 In addition, ENERCALC SE offers a third application called ENERCALC 3D, a powerful 3D finite element analysis and design program, that is only available in the cloud implementation. Amazon Web Services computing infrastructure provides unparalleled capabilities, reliability and ultra-high speed global availability. Their platform offers the infrastructure we needed to provide our advanced software deployment.....with 24/7 availability. Try ENERCALC SE Cloud and see for yourself! Nearly the same user interface and capabilities. You are using THE SAME software as the installed version. Familiar capabilities & no re-learning! Our Cloud servers are all 64-bit multi-processor speed demons that provide extreme calculation performance. The software you use is always up to date. New versions are instantly available...globally. No IT management in your office required....save added costs. Available multi-platform: Mac, Windows, HTML 5 browsers, tablets, iPads, Android devices, etc. Available through all major HTML5 browsers: Edge, Internet Explorer, Chrome, Firefox, Safari and more! Easily move your project calculations between Cloud & Local Computer for usage or backup. One small monthly investment provides access to the entire package with no limits on files or projects. Shop carefully, as other packages limit your work volume, while providing fewer engineering modules. Initial 3 month subscription for additional seats are $300 ($100/month). Starting in month 4, your card is charged monthly at $100 per additional seat, unless you cancel. IMPORTANT: Cancelled or Expired subscriptions restart with a new 3 month subscription at the then current price (currently $375). Your subscription automatically cancels if payment fails due to declined charges or expired cards. Our cloud services are powered by Amazon Web Services (AWS). What is Cloud Computing? Cloud computing means that all of the program operation is on a server on the Internet. In our case, "on the internet" means on the secure, powerful Amazon Web Services (AWS) facilities also used by MLB, NFL, SEC, major banks and many more demanding enterprise-class customers. Capability already built into your device’s operating system interacts with the running application to provide the user interface. All of the operation is done remotely on our servers. Easily move projects between Cloud and Installed software! You can EASILY move your current ENERCALC Project Files to our secure cloud storage on Amazon Web Services (AWS). They are stored via AWS S3 secure cloud storage, where every version you save is backed up locally and at a second AWS location. It's simple to export a project from the Cloud version back to your computer for use or backup. Working on a project and want to finish at home? No worries! End your work session at the office and launch at home. Your data is in the same cloud location available to you anywhere! Laying by the pool in Kauai and need to revise a design? Just launch our application on your tablet! MOBILITY: Your engineers can access your calculation project files wherever they are using Mac, Windows, Linux, Android (any HTML5 browser) devices anywhere. 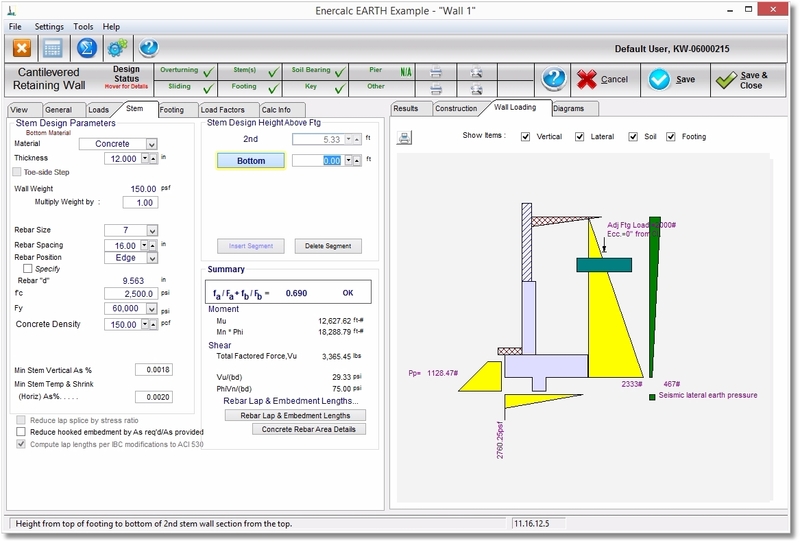 REDUCE COST AND EFFORT: With ENERCALC SE, there is no software to install, no activation codes to keep track of or enter, no activation, no updates to install, no shuffling project files between computers, and you always have the latest software releases. Cloud computing simplifies all aspects of computing! And you still can print locally on your own printer. EASY MIGRATION: Easily upload your project files via our secure upload connection. Your project files are moved into our secure AWS S3 storage and are replicated at a second AWS data center for even more safety. Starting up your Cloud usage is simple. The connection between our cloud servers and your device is fully encrypted using the industry best practice and technology standards. See for yourself, give ENERCALC SE Cloud a test drive! The 60 Day Refund Policy DOES NOT APPLY to Cloud version subscription initial payments. However monthly billing subscriptions can be cancelled for future subscription payments at any time.